Halloween is coming, but the goblins seem to have already arrived and lost their way into the stock market. And they're creating havoc! The relentless volatility and a drip of near-daily 1-2% decline are darkening investor confidence and making it a month of terror. What started as a question of whether the Federal Reserve is turning more hawkish by suggesting that a neutral rate, which is the level at which the Federal Funds Rate is neither stimulative nor restrictive, is still far away, has now snowballed into a question of whether even the next two interest rate increases, possibly in December 2018 and March 2019, are two too many. The issue has raised the market pulse manifold as volatility has spiked towards 52-week highs. The President's repeated hectoring of the Federal Reserve in full public view may not be helping matters, as it gives more heft to the concerns that something is wrong. Perhaps a private interaction would have been more effective. However, the President's reason for a pause is different for he believes that the economy is strong and since there is no sign of spiking inflation the Federal Reserve should leave the Fed Funds rate untouched. On the contrary, a growing segment of the market believes that the economy is not as strong as the numbers indicate, and thus the Federal Reserve should consider pausing in the near future or at least step away from a "neutral being too far" position. Typically, some soothing words from the central bank can often be expected after a sharp prolonged correction. Such hand-holding by the central bank, without any commitments, can work its magic on investor sentiment and steady a faltering stock market. But this time, we believe, the President's comments may have boxed-in the FOMC members and the only words that can be spoken have to be supportive towards the continuation of the present policy. Earnings have been the safety net for the market. It remains to be seen whether it will hold true this time as well. Thus far, earnings for most companies in the S&P 500 have been on-target. However, a few companies have shown concerns with their forward guidance, particularly manufacturing companies with a higher proportion of export earnings. Caterpillar (CAT) jolted the market this week with its diminished outlook, once again continuing its cautionary guidance that started with the previous June quarter. It is not alone as companies like United Technologies (UTX), Harley Davidson (HOG) and 3M Co (MMM), among others, have talked about headwinds from tariffs. There will be obvious pressure on margin as tariffs begin to hurt and flow into the supply chain. Where possible, these increases will be passed on to the consumers, thus reinforcing the forces edging up inflation. However, one must not forget that over time the rising material costs should begin to be offset with slackening demand for raw materials from many large global consumers, including China, who are not experiencing the same robust growth as the US economy. Global growth is not so synchronized anymore, and that will exert a disinflationary impact on material prices. The earnings season is not over yet and continued strong guidance can dispel the fear of widespread slashing of estimates. But high-profile misses will hurt the sentiment and cast doubt on the earnings potential of the market heading into 2019. Nonetheless, even a good earnings season can be tainted by bad sentiment, as is presently being experienced. A mindset of the glass-half-full has now ceded to a mindset of glass-half-empty. With the sentiment tilting heavily towards finding a reason to flee, the market has continued to erode further. The Wednesday's decline took off 3-4% from the S&P 500 (SPY) and the Nasdaq Composite (QQQ). The biotech sector faced sharper declines as the larger cap-weighted Nasdaq Biotechnology Index (IBB) sliced down 6% and the mid-cap/small-cap weighted S&P Biotechnology Index (XBI) over 7%, all in a single day. Is this the capitulation that typically occurs prior to a turnaround? Perhaps, but it's hard to say, even though we may be overdue for a near-term respite. But what is relatively easier to note is that investors have to be prepared for this kind of volatility and adjust their portfolios based on their risk profile as the stock market enters a new phase of investing. What we may be experiencing now is a reset of monetary policy expectations. Thus far, much of the bull market has unfolded in an environment of zero-based monetary policy and thereafter, gradually rising interest rates - a quarter-point rate hike spaced out over months. This Federal Reserve policy had the comfort of realizing that the unemployment rate still had room to go lower. However, the calculus at the Federal Reserve has been changing when there is growing evidence of labor market pressures, and the unemployment rate hovers at 3.7%, below the FOMC estimates of full employment or the normal rate of unemployment of 4% to 4.6%. Incidentally, full employment is understood as the lowest possible rate that unemployment can fall to without spurring inflation. Consequently, the present situation naturally worries the Federal Reserve, as the labor market can potentially stoke wage inflationary pressures. And the margin for error, which existed when the unemployment rate was above 4%, has disappeared. Add to that the pricing pressures that may come forth due to tariff related issues, and the Federal Reserve begins to get more agitated about its inflation focus. We believe the offset to any near-term pricing pressures will eventually turn out to be slowing global growth, while economic growth in the US remains steady. But will the Federal Reserve wait to find out? 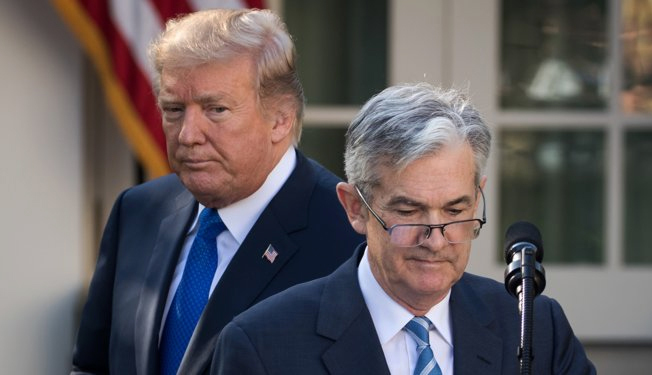 Chairman Powell has been on record saying that the Federal Reserve can tolerate inflation running higher than normal, as long as inflationary expectations remain grounded along with evidence that longer-term pressures will push inflation back to the desired goal. The Correction has been so sharp and relentless, that it has offered a limited opportunity for investors to readjust their portfolios. At the beginning of October, our investment exposure for the Prudent Biotech model portfolio, which was up +71% as of Oct 1, and the Small Cap portfolio, which was up +37%, was reduced to a 75%-80% level, and thereafter further reduced to a 40% level. At this point, after a rapid 10% to 20% correction across many sectors and indexes, it may just be a more judicious portfolio strategy to hold on to the existing positions, provided the initial thesis on the stock still remains intact. Because in all likelihood this is not a breakdown triggered by an economic retreat and the possibility of a recession. But investors should be mindful of their own risk profile and that capital preservation at some point takes precedence over capital appreciation. "At this time the stock market has been so oversold that one can reasonably expect sharp moves higher on some days. However, the near-term market uptrend is broken and it will require a period of healing over the next few weeks...caution has to be observed as the risks remain that downside volatility has not seen its final days in this episode." Why will a rebound require more patience unlike in the past? 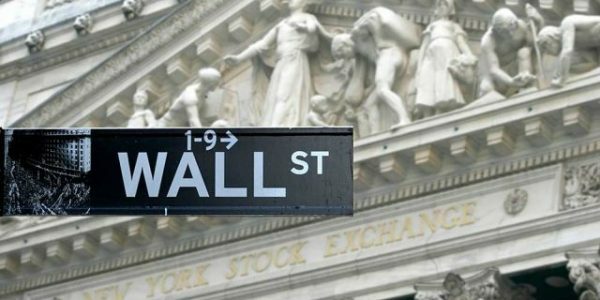 The stock market is looking for some kind of an olive branch from the Federal Reserve. That won't be forthcoming anytime soon, particularly in light of the reasons noted above. The present situation will improve with time as the market realizes that the Federal Reserve is highly data dependent, and perhaps more assuaging comments from the Federal Reserve at the next meeting will be helpful. Until such time, volatility is here to stay as the market looks for a chance to anchor, consolidate, and build up strength. A near-term helpful event would be the end of election-related uncertainty on November 6. Furthermore, a status quo may even be considered positive since the market is pricing in some change of control of Congress. There are too many cross-currents in the market, which is making it harder for investors to navigate safely, and consequently, it may be a prudent portfolio strategy to wait for things to calm down instead of being aggressive buyers. We have written often about the biotechs and the small caps in general. The biotech sector has been hit harder, than the broader market, declining 23% for the S&P Biotechnology Index (XBI), and 18% for the Nasdaq Biotechnology Index (IBB). The sector has a higher volatility beta and so will retreat more sharply than the market. However, the fundamentals of the biotech investment landscape remain unchanged. There are many promising companies in biotechs and pharmaceuticals, as well as the small caps in general, that remain attractive and should perform well once the market consolidates. A few such promising companies in these market segments include, Merck (MRK), Pfizer (PFE), Eli Lilly (LLY), BioMarin Pharmaceutical (BMRN), Regenxbio (RGNX), Gol Intelligent Airlines (GOL), Sarepta Therapeutics (SRPT), Acadia Pharmaceuticals (ACAD), Caredx (CDNA), Exact Sciences (EXAS), Neurocrine Biosciences (NBIX), Endo International (ENDP), Euronet Worldwide (EEFT), Arrowhead Pharmaceuticals (ARWR), Tandem Diabetes Care (TNDM), Amarin (AMRN), Acceleron Pharma (XLRN), Viking Therapeutics (VKTX), Proqr Therapeutics (PRQR), Immunomedics (IMMU), Ra Pharmaceuticals (RARX), Funko (FNKO), Glaukos (GKOS), Twilio (TWLO), Vanda Pharmaceuticals (VNDA), Renewable Energy Group (REGI), and Fate Therapeutics (FATE).